Resetting forgotten Windows login password is necessary when you are unable to login to your user account. There are many reasons why people forget or don’t know the Windows login password. Here are just a few. 1. 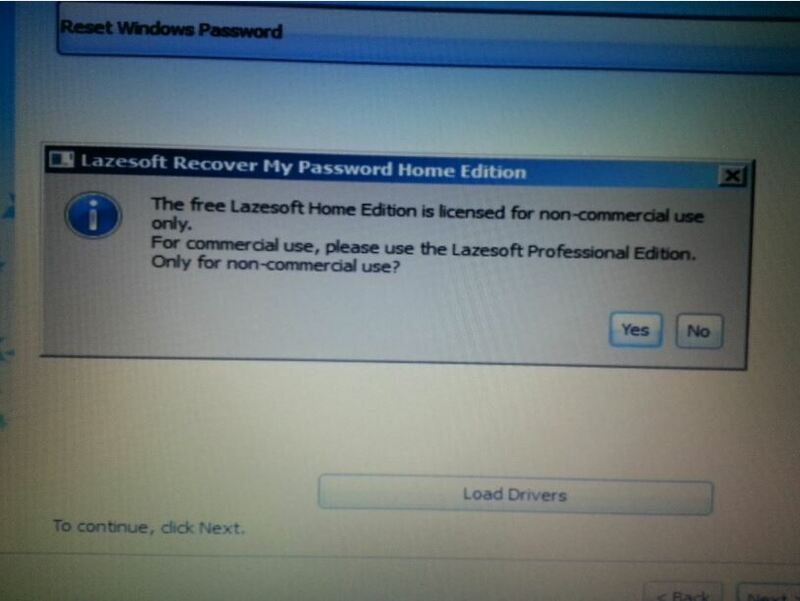 If you haven’t used your computer for a long time and can’t remember the Windows login password. 2. You purchased the computer at a pawn shop, auction or at a garage sale. 3. Someone hacked your computer and changed your Windows login password. I had a customer who experienced this problem. She used a very weak Windows login password. 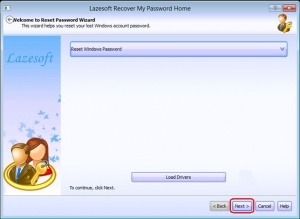 This tutorial will show you how to reset forgotten Windows login password by using Lazesoft Recover My Password Home Edition (Free). This program will work with Windows XP through Windows 8.1. 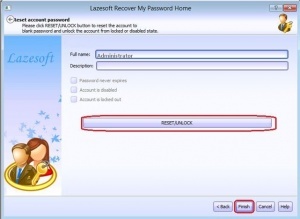 Browsing through the Internet you will find that there are many ways to reset forgotten Windows login password but may be too complicated for people. I believe that this method is by far the easiest to use. You only need a USB flash drive, or CD/DVD disc, and another computer to download the free software. That’s it. 1. 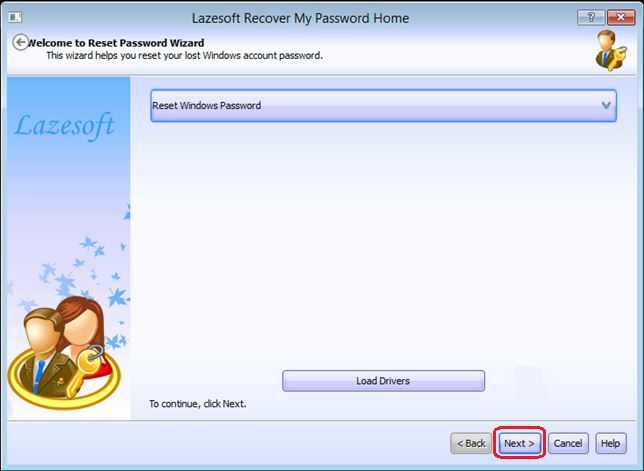 Start by downloading and installing Lazesoft Recover My Password Home Edition (Free) to another computer. 2. 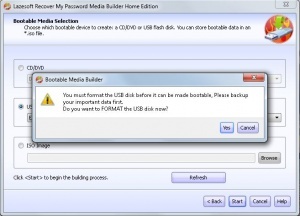 Insert your CD/DVD disc or empty USB flash drive. Next, double click on the icon to launch the program. 4. Click to open menu options. 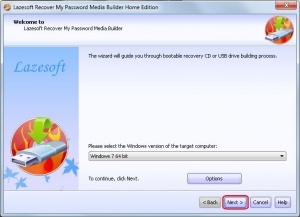 For this step you will need to know if your operating system is 32 bit or 64 bit. If you are not sure whether you have 32 or 64 bit Windows Operating System, then you will have to research your computer model’s specifications. 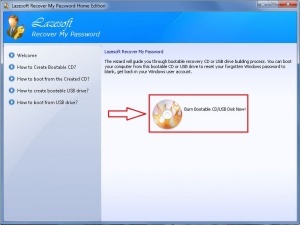 For this tutorial I am going to reset forgotten Windows login password for Windows 7 64 bit. 5. 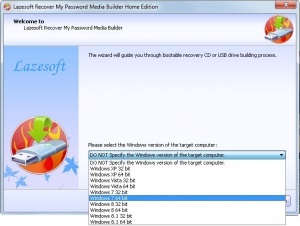 Select the Windows Operating System you want to reset Windows login password. 6. Now that the Windows version has been selected, click Next. 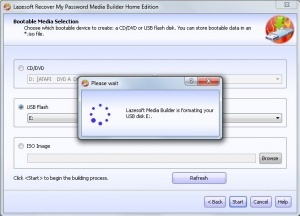 Here you will have the choice of using a CD/DVD disc or USB flash drive as your bootable media. 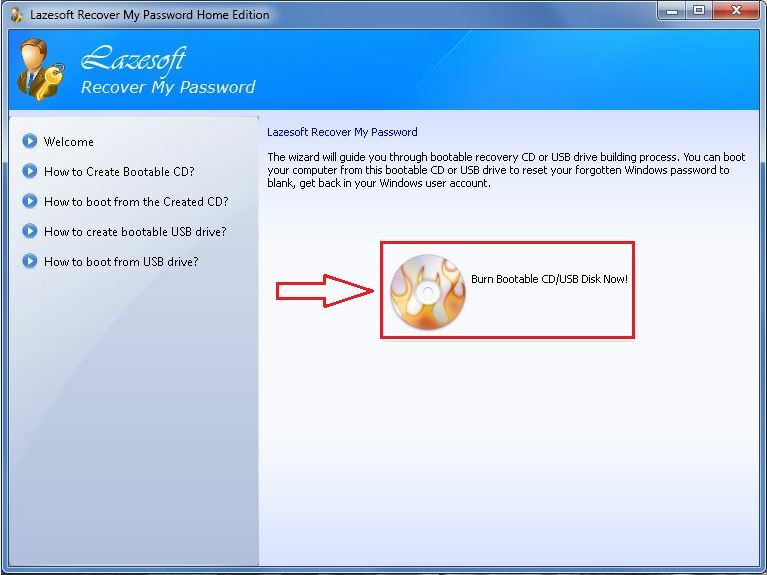 You can also create an ISO image which can be burned to disc. 7. Select CD/DVD, USB or ISO. Click Start. 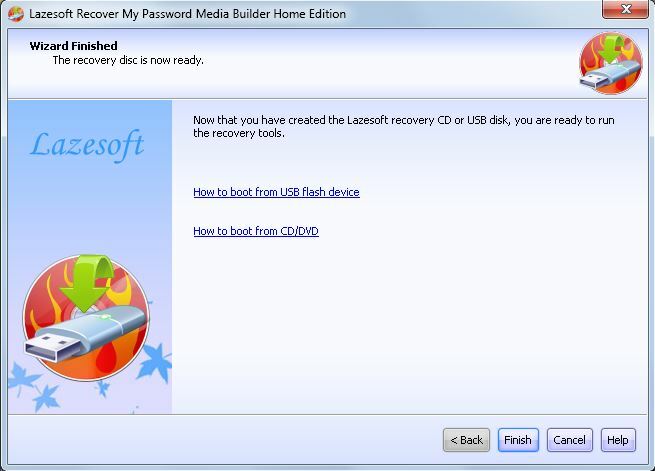 I have selected the USB Flash to reset forgotten Windows login password. 8. Click Yes to format your disk. 9. Wait for Lazesoft Media Builder to format and create your bootable disc. 10. 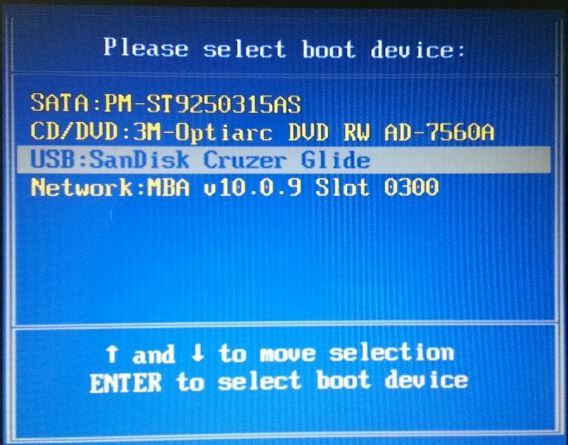 Your bootable drive is now ready for use. Click Finish to close this window. X out to close the program. Safely remove the USB and insert the USB drive into the target computer. Note to Windows 8 and 8.1 users. 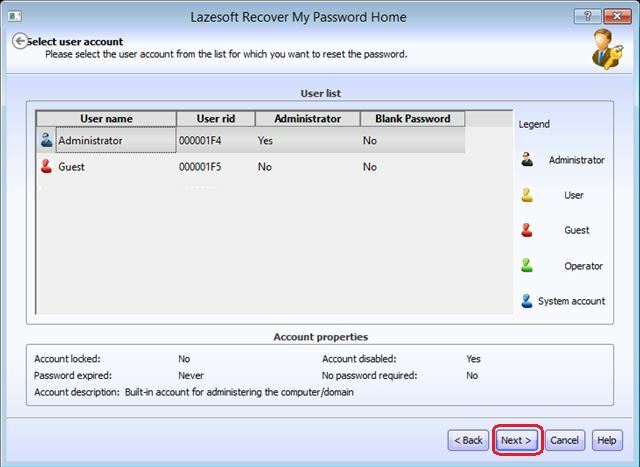 Microsoft account users can go to Microsoft Account Recovery page to reset forgotten Windows login password. 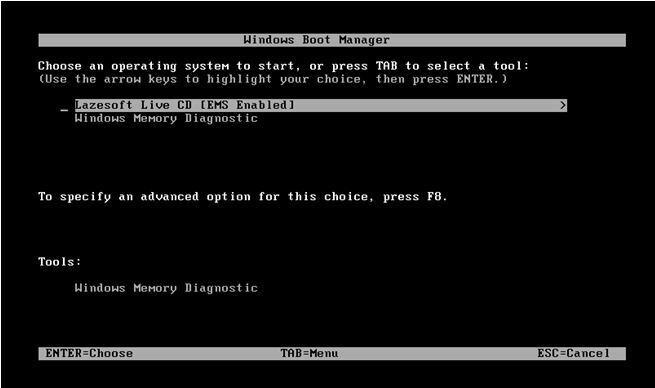 If you are using a Local Account to login to Windows 8 or 8.1, you will need to get access to the BIOS settings and disable Secure Boot and enable Legacy Support. 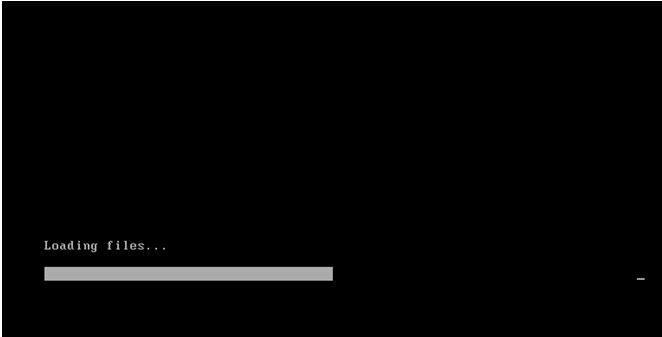 Here is a support page for HP users, as an example, that outlines the steps necessary to disable Secure Boot and enable Legacy Support in the BIOS. Scroll down to the bottom of the page where it says “I cannot boot from a CD or DVD (such as an HP Recovery disc) when Secure Boot is enabled” and follow the instructions. This has to be done first before proceeding to the next step. 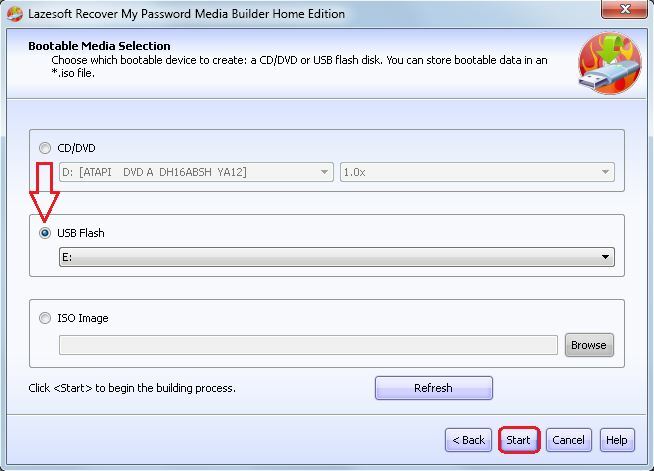 Now that we have created a bootable media, we are ready to reset forgotten Windows login password. 2. 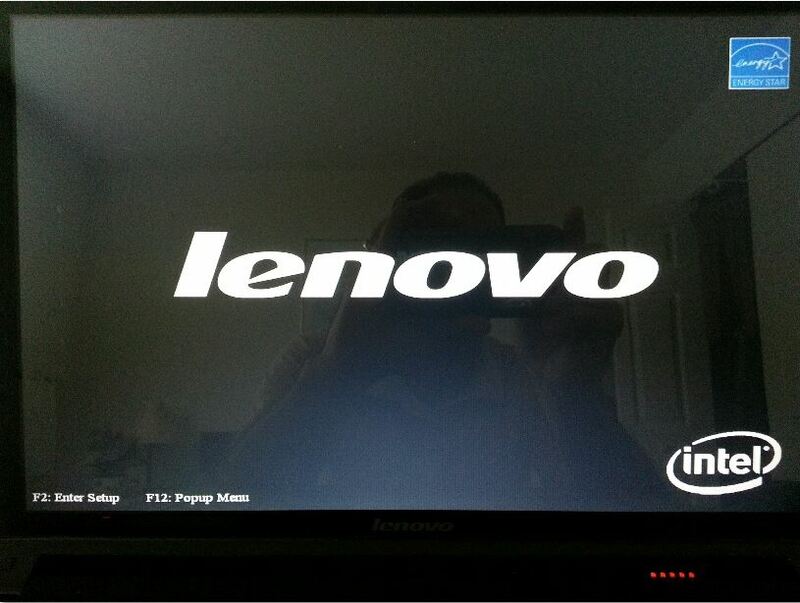 As soon as you see the splash screen press F12 to enter the Boot Menu options. 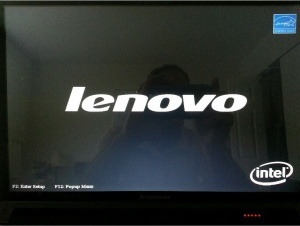 The F12 and ESC keys are two of the most often used keys to enter the Boot Menu options. 3. 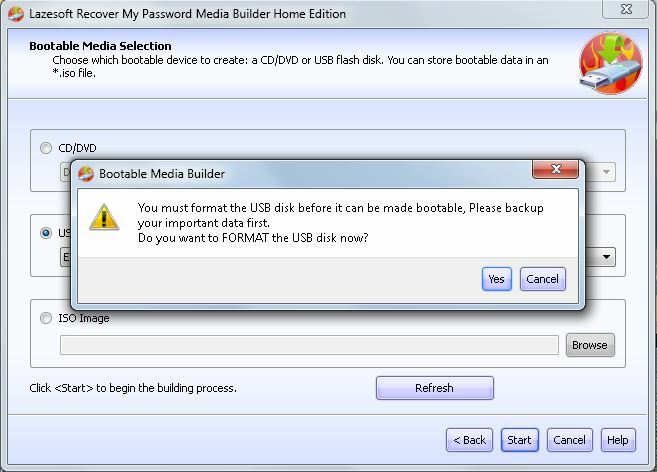 Select the USB drive from the Boot Menu options and press Enter. 5. Wait for files to load. 6. Click Next to start the Reset Password Wizard. 7. 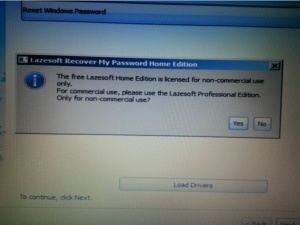 Click Yes to the non-commercial use prompt. 8. 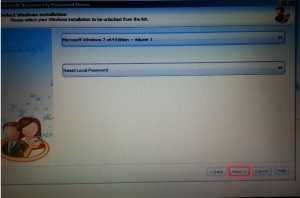 By default your Windows installation will be the only one available. Click Next. 9. 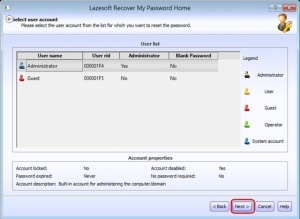 Select which account you want to reset forgotten Windows login password. I have chosen the Administrator account for this example. In your situation you would choose your user name from the user list of accounts. 10. 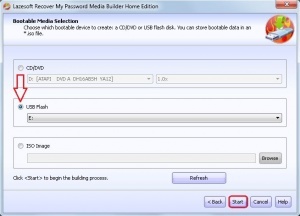 Click RESET/UNLOCK button to reset forgotten Windows login password with a blank password. Click Finish. 11. You have successfully reset Windows login password with a blank password. Click Ok and Click Finish to exit the program. Your computer will automatically reboot. 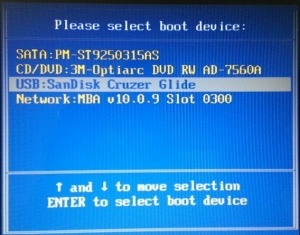 Note: For those who have decided to use the CD/DVD method, and have CD/DVD set as your first bootable device in BIOS, you will need to eject your disc at this time. 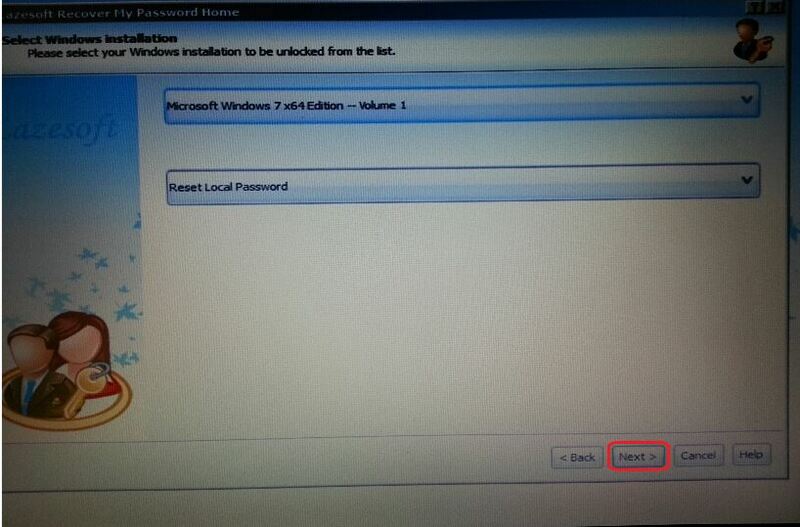 That is all there is to reset forgotten Windows login password. 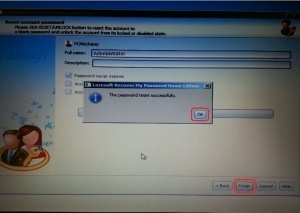 It is very important to create a strong password for your user account. I have already seen firsthand how a hacker can change weak passwords. Need help creating a strong password? Microsoft has tips for creating a strong password which will help you get started. In my view, the longer the password the better it is. If you found this tutorial helpful, please hit Like or share it so others can benefit from it. PCMechanic Computer Repair in Davenport, FL can help you reset forgotten Windows login password. Click the Service Request button below to contact me. This entry was posted in Windows by Jose Ortiz. Bookmark the permalink.